I like running light and carrying as little as is responsibly safe and in accordance with race kit lists and having had a chance to put the extremely lightweight fully waterproof smock to the test, it’s not left my essential kit list since. 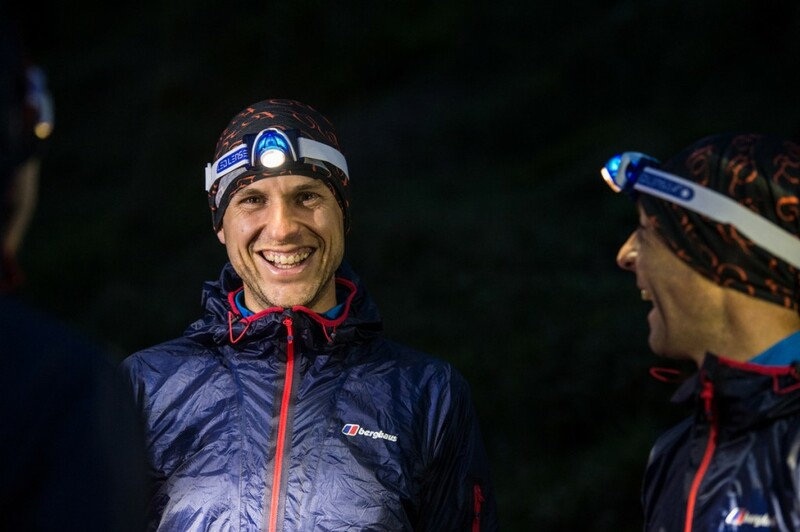 One of the perks of being a Berghaus Trail Team member is of course getting access to some of their current range of trail running kit to use, test and review and I wanted to start with the VapourLight hyper smock as it’s a real highlight for me so far. First off, this jacket is an part of the new Berghaus VapourLight range designed for runners and racers to be as compact and lightweight as possible and at only 110g for Mens L it’s frankly incredible something can be so small and offer such protection. As a comparison, the excellent OMM Kamleika smock is 230g. The VapourLight despite its amazing weight is fully taped and waterproof so would pass normal fell and trail race mandatory kit lists which for most people is an obvious consideration when shopping for a top end waterproof. I wore this jacket all day on the Trail Team trip to Chamonix in July when we covered a good chunk of the CCC course in patchy weather (not a full on downpour it must be stressed) and with only a tech tee underneath and felt comfortable for the full day with an overnight pack on too. It’s a very very thin jacket for sure and takes a little getting used to when you first put it on because it feels so delicate but once you get a feel for it, it’s fine and offers a good water and windproof option. You’d need to manage your layers underneath in colder weather but I don’t think that’s any different to other lightweight jackets but I’d feel very comfortable knowing it was in my pack when the rain comes in. Packing it down into the supplied bag is something else, it truly is tiny. As I said, I like to run and race as light as possible and for those of a similar mindset, this is the jacket for you. It’s barely the size of a gel! I carry this jacket everywhere – when I race, train and run to and from work. It takes up so little space in a backpack or race vest pocket. I’m 6’1″ and a medium and the fit is comfortable with a longer back and offers flexibility around the shoulders/under arms and overall is a reasonably close fit to avoid it turning into a sail when the weather picks up but with elasticated cuffs and a nice close fitting hood with elasticated toggles that will keep out the foul weather. To be honest, I’m not sure what else I’d really want or need if I were shopping for an ultra lightweight waterproof. The pocket on the arm isn’t really something I’d see myself using as it’s pretty small and while it’s designed to hold a gel or running essentials (a car key perhaps? ), you might be able to stuff one gel in but probably nothing more and typically most people tend to keep a gel or car key in a shorts pocket. It’s not specifically a downside though. Potentially the tiny stuff sack for the jacket could be sealed and watertight without adding any weight or bulk as at the moment it’s got a little mesh down one side which if you leave it a little late to put on your jacket might get it a bit soggy but I don’t really think it’s a big issue as you’d probably have your jacket on before it could get wet in a pack or rucksack anyway. At £120 from the Berghaus store it’s a considered purchase but it’s easily comparable to other high quality lightweight waterproofs and I think it’s well priced in terms of value. A quality waterproof in my opinion is not something you can or should skimp on. If you’re on a budget as many of us are, you can make savings in your kit purchases elsewhere if needed but whether you buy this one or something else, do remember that a good waterproof will keep you running longer and safer when the weather closes in.